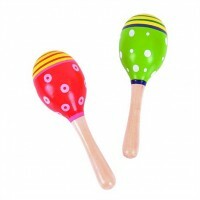 Wooden Maracas for smaller hands, in various colourful designs. 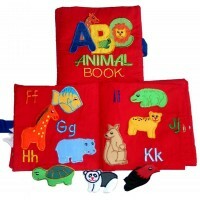 Fantastic for young children, toddl.. 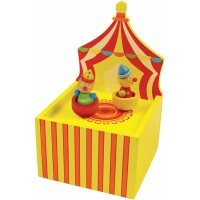 Traditional music theatre box with a clever twist! 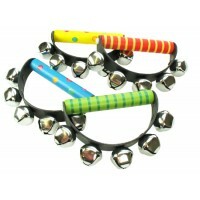 Place the clowns on the box, wind up the handle a.. 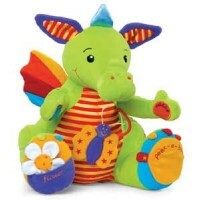 This large bright and friendly dragon will entertain children from birth upwards: Rattles, squeaks..
Colourful percussion handbells for children to create great musical moments! Designs vary. 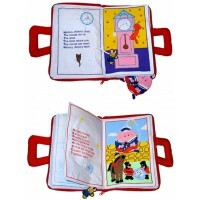 ..
A great book for the youngest of children depicting 5 popular nursery rhymes with corresponding pict.. 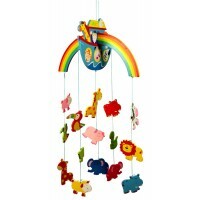 Decorative mobile for children's bedrooms in fun Noah's Ark Design. 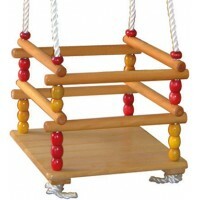 Wooden mobile with pairs of anim..
A wonderful idea for some quiet time! 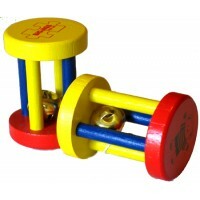 Young children will become absorbed in the activities in this ..
A small rattle that is perfect for clasping and shaking in a baby`s hands, the bell will encourage .. These delightful wooden clip on mobiles are perfect for stimulating and soothing youngsters in the p..
An eye-catching wooden spiral mobile in ulti coloured desig that will brighten any child's bedroom, ..
Crazy fun for babies and toddlers - meet curly the cobra! 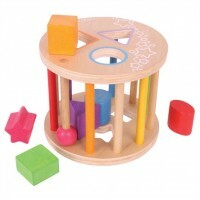 A multi sensory fully entertaining toy for.. 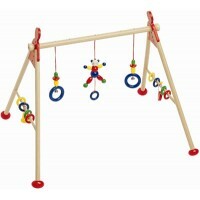 Wooden cot gym with two bears, wooden rings on a pole and a bell. 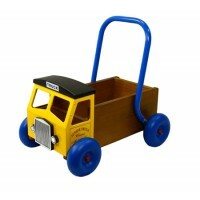 This charming cot toy will keep li.. 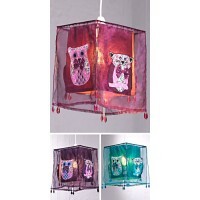 The owl and the pussycat went to sea in a beautiful pea green boat ... 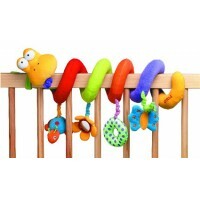 Inspired by the nursery ryme..
Our baby toys are bright, cheerful and fun and focus on the development of the senses. 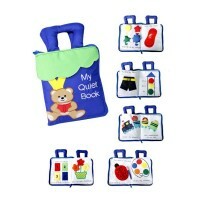 Our baby toys are tactile and interactive encouraging babies to listen, see, touch and explore. 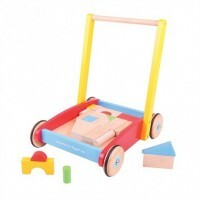 Babies will want to reach out to the bright toys and will soon start to discover the possibilities the toys offer and so develop their fine motor skills and auditory and visual senses.